There are plenty of studies that isolate the effects of light, acoustics, or air quality on learning. But the research on flexible classrooms is frustratingly scarce. Another way to look at it: When isolated from other measured factors, classroom flexibility is about as important as air quality, light, or temperature in boosting academic outcomes. 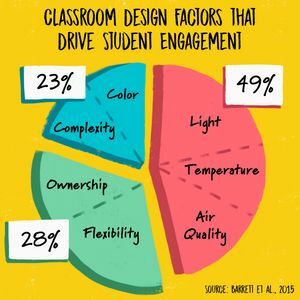 Personalization factors like flexibility and student ownership account for over a quarter of the academic improvement attributed to classroom design. Barrett’s team singled out the effectiveness of learning zones—“a reading area, a wet area, usually a carpet area for whole-class activity, tables usually in blocks of four or six”—and made special note of unique classroom shapes, which seem to allow for easier partitioning of the space. But the study doesn’t prescribe fixed solutions, setting out loose guidelines instead. When I described American flexible classrooms, which are even more individualized than their British counterparts, Barrett agreed that the Salford findings applied. A few insights surprised even the researchers. 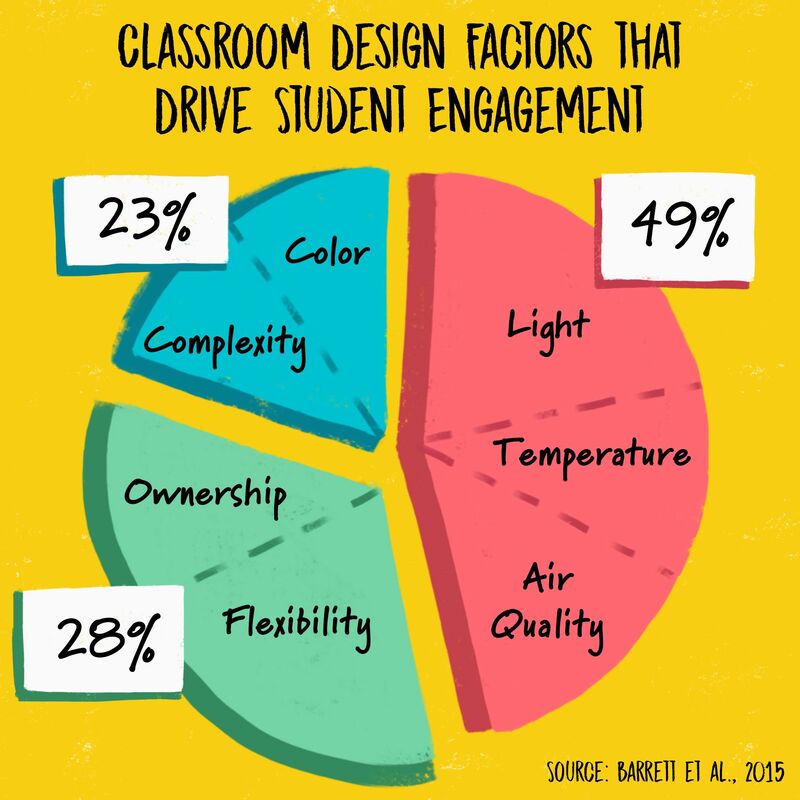 Flexible, welcoming spaces had a startlingly large effect on learning in math—73 percent of the students’ progress that was attributed to classroom design was traced back to flexibility and student ownership. The reasons are a mystery, but Barrett and his team hazarded a guess: Academic subjects that provoke anxiety—in math, that’s a known issue—are better addressed in classrooms that feel comfortable and familiar to students. And some of the air quality data came as a shock. Despite a 2015 Harvard study that showed steady declines in higher-order thinking when carbon dioxide levels exceed 500 parts per million—the gas is a by-product of human breathing, for those who’ve forgotten their biology—the researchers consistently recorded levels over six times that high in a classroom they observed. That’s alarming—and fixable. So will lugging new furniture into your room improve student outcomes? Do Hokki stools and throw pillows drive up test scores?